The mission of the International Union of Toxicology (IUTOX) is to improve human health world-wide through the science and practice of toxicology. Toxicology contributes to the prevention of harm to humans and the environment from the unintentional toxicity of an increasing variety of chemicals and products. Today the field of toxicology is highly interdisciplinary, involving a wide variety of basic and applied sciences that include biology, chemistry, math, physics, computer modeling, and risk assessment. One of the major goals of IUTOX is to facilitate the worldwide interactions of scientists from all of these disciplines by sponsoring and ensuring the success of the International Congresses of Toxicology (ICT) and Congresses of Toxicology of Developing Countries (CTDC) meetings. All IUTOX member societies are invited to contribute to these activities. Members of the IUTOX Executive Committee are highly engaged in activities that support innovative developments in the field of toxicology (Science Committee), in educating the next generation of toxicologists (Education Committee), in outreach activities (Communication, Membership and Developing Countries Committees) and in fundraising activities (Finance Committee) to meet the overarching goal of all toxicologists, to make a difference, and to ensure that the world is safe for all. Get involved! We welcome your ideas and input. This column features past travel award winners of ICT and CTDC meetings, RASS trainings, and recipients of SOT/SOT Endowment/AstraZeneca/IUTOX travel awards. True to its mission, IUTOX has consistently raised and awarded funds for junior and senior scientists to participate in international toxicology meetings and to receive training and education to increase their skills and knowledge in risk assessment. A great number of recipients have gone on to contribute to the field of toxicology in significant ways in colleges and universities, private industry, and scientific communities on a local, regional, national, and international level. If you are a past recipient of an IUTOX sponsored travel award or risk assessment training, we want to hear from you. Please contact iutoxhq@iutox.org with your “Then and Now” success story! Abbes: We have a great interest in the safety of food and feed supply in Tunisia and our research reaches to other nations with similar challenges by using additive agents in order to prevent animals against mycotoxin toxicities. A major health concern in Tunisia is the presence of fungal and microbial contaminants in agricultural crops that may have links to liver cancer and subsequently causes disease or death to over 100,000 consumers per year. We are actively engaged in research to help reverse the trend of the contaminants and to reduce the number of deaths. We have been an important participant in toxicology research activities regarding the use of clay mineral, plant extract, and probiotic bacteria for mycotoxin detoxification. Actually, we share IUTOX information about the use of probiotics in the area of toxicology, it’s a safety bacteria useful in environmental health. Abbes: Toxicology is a growing field in Tunisia due to the increase of toxicants from economical and industrial activities, which cause negative effects in humans and animals. For this reason, many labs and society of toxicology have been launched. Abbes: Two institutions (six universities), departments of biology, chemical and life science programs. IUTOX: What involvement have you had with the Thai Society of Toxicology? Abbes: Toxicology is an interesting field we should develop to avoid many health and environmental problems we’re exposed to through our air, water, food, and other sources that affect our health. Young toxicologists help to solve these problems by studying the harmful effects of all types of chemicals on biological systems—humans, animals, and plants—and the environment. IUTOX: Did the SOT/AstraZeneca/SOT Endowment/IUTOX Award allow you to create lasting working relationships with other toxicologists or provide you with other opportunities? Abbes: The SOT/SOT Endowment/AstraZeneca/IUTOX travel award was very useful for me because we haven’t any support from my country to attend the international events and to join scientists from the entire world. This award was helpful and very important, thanks to the mentioned award I established many good and valuable contacts with scientists from the world. IUTOX: What degrees do you hold and from which institution? Ben Salah: In Tunisia, the field continues to grow rapidly due to the vast numbers of new chemicals that enter the market each year through the pharmaceutical and chemical industries and the need for careful government oversight of this process. Many labs have been launched in response to these challenges. Ben Salah: Two institutions (six universities), departments of biology, chemical, and life science programs. IUTOX: What involvement have you had with your national Toxicology Society? Ben Salah: I developed the field of toxicology in the Tunisian Society of Psycho-Neuro-Endocrino-Immunotoxicology (AT-PNEI) and in my lab. I am also a full member of the organization for Women in Science for the Developing World (OWSD) and a TWAS Young Affiliate 2012–2016. 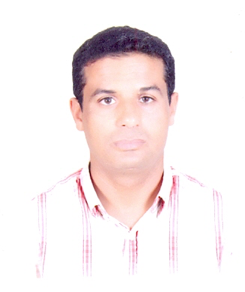 Ben Salah: Toxicology is an interesting field we should develop to avoid many health and environmental problems. IUTOX: Did the SOT/SOT Endowment/AstraZeneca/IUTOX travel awards allow you to create lasting working relationships with other toxicologists or provide you with other opportunities? Ben Salah: The SOT/SOT Endowment/AstraZeneca/IUTOX travel awards helped my scientific career as I increased my knowledge in the area of toxicology and allowed me to work with other teams on natural product suitable for human consumption. Our research helps us find suitable solutions and avoid health hazards resulting from the consumption of food contaminants, which is an area of great concern in my home country. 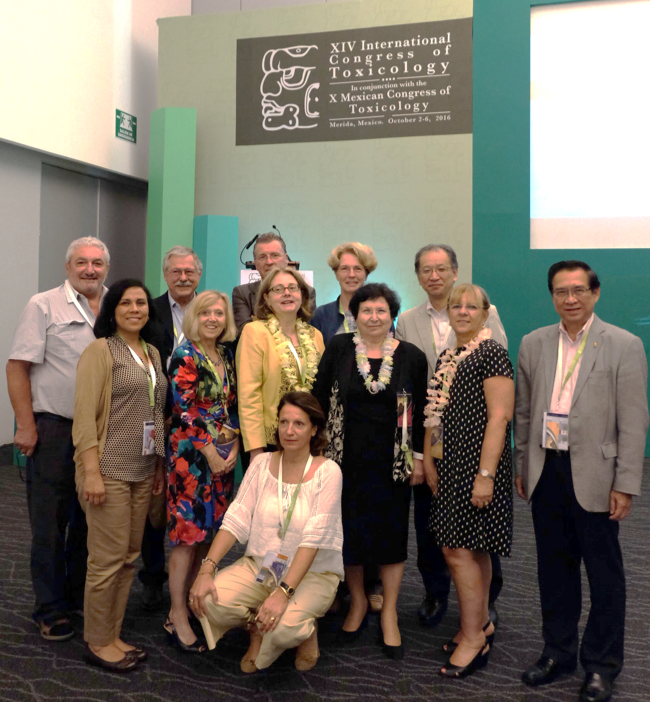 IUTOX member society representatives who either attended the General Assembly in Mexico or submitted their votes in advance, elected the new Executive Committee and Nominating Committee who will serve during the 2016–2019 term. Daniel Acosta, Jr., Chair of the Nominating Committee thanks everyone who stood for office and welcomes the new Executive Committee to IUTOX leadership. 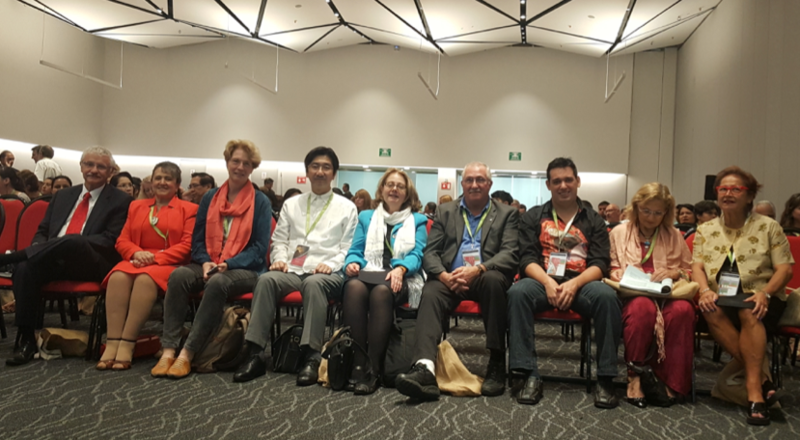 Member society representatives also considered three excellent proposals from the Chinese Society of Toxicology (Beijing), the Dutch Society of Toxicology (Maastricht), and the Toxicology Society of Taiwan (Taipei) to host ICTXVI in 2022. The Malaysian Society of Toxicology presented their proposal to host CTDC11 in Melaka, Malaysia. 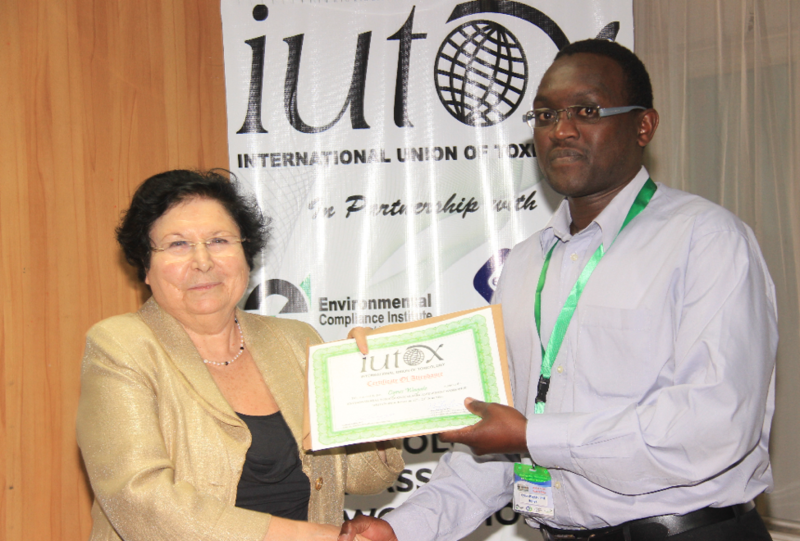 IUTOX leadership thanks each society for their dedication and hard work to prepare such outstanding presentations. This annual ACT course provides a basic training in toxicology. Using pharmaceutical development as an example, participants will obtain an overall understanding of the principles of toxicology and nonclinical safety evaluation. The course will include discussion of regulatory case studies and hands-on analyses of nonclinical data. The course is intended to benefit individuals working with small and large molecules from biotechnology and pharmaceutical companies, CROs, and regulatory agencies, or individuals interested in or currently practicing toxicology. This joint American College of Toxicology/Teratology Society course is being hosted in collaboration with the Thomas Jefferson University College of Biomedical Sciences. The course is designed to provide a basic understanding in reproductive and developmental biology and principles of various testing approaches for reproductive and developmental toxicology, with strong emphasis on the practical application of these principles and interpretation of nonclinical safety data as well as risk assessment. The intended audience for this course includes industrial and regulatory scientists, graduate students, and postdoctoral fellows. The American College of Toxicology (ACT) is offering an advanced course to complement “Toxicology for Pharmaceutical and Regulatory Scientists.” In this five-day intensive course, attendees will be provided detailed descriptions of principles of toxicology, effects of xenobiotics on organ systems, discussions of specific classes of toxicants, mechanisms of toxicity, risk assessment, and other contemporary toxicological concepts. The content of this course will provide contemporary toxicological concepts and information that should be helpful to those seeking certification in toxicology or to those seeking more advanced training in toxicology. The faculty consists of well-recognized experts in their field of study, most of whom are board certified by the American Board of Toxicology. EUROTOX and the Local Organising Committee invites you to submit scientific proposals for the EUROTOX 2018 Congress that will be held in Brussels, Belgium, September 2–5, 2018. Our theme for 2018 is “Toxicology Out of the Box.” It reflects our willingness and enthusiasm to offer a really innovative, forward-looking, and imaginative programme. Submissions in line with this theme are strongly encouraged. Please submit your proposals using the form downloadable here to the EUROTOX Secretariat (secretariat@eurotox.com). SETAC Europe welcomes EUROTOX members to the 27th Annual Meeting, which will be held in Brussels, Belgium, May 7–11, 2017. The Scientific Liaison Coalition (SLC) is a partnership of scientific societies devoted to: 1) strengthening partnerships among scientific and health-based organizations to increase awareness of toxicology and related subjects on human health, and 2) functioning as a means to enhance collaboration among societies to benefit human health and disease prevention. We will be holding a Society of Toxicology Contemporary Concepts in Toxicology (SOT CCT) meeting on the Metabolic Syndrome on March 11, 2017, the day before the SOT Annual Meeting. This condition is so prevalent that we need to redefine what is meant by “normal” individuals and take these issues into account during drug development and risk assessment. Look for more information in the future. To view our archived webinars, visit the SLC website. To learn more about the SLC, contact Marcia Lawson at marcia@toxicology.org. Introduction: I am a toxicologist and a member of the faculty of the College of Pharmacy and Health Sciences at St. John’s University. I joined the Society of Toxicology (SOT) in 1996 while still a doctoral candidate in the Joint Graduate Program in Toxicology at Rutgers/New Jersey Medical School (UMDNJ). As I write this blog entry, I am finishing up a sabbatical at the University of Udine, where I have been serving as a US Fulbright Scholar to Italy. I will soon return home to New York with a broad new perspective and many treasured memories. What is the International ToxScholar Outreach grant and what strategies are used to ensure that students are in attendance? The International ToxScholar Outreach Grant provides travel funds for SOT members to visit institutions in developing countries with the purpose of expanding student awareness of the science of toxicology. I was funded for a proposal that involved organizing and presenting a toxicology symposium for students in the Republics of Serbia and Moldova, which, in turn, involved reaching out to host contacts in these countries. My hosts and I were ecstatic and worked together to ensure that the visits would be successful. Each host advertised the toxicology symposium by sending emails directly to their students and, as part of the award, we were able to offer free lunch to those in attendance. Serbian students in the audience were from the clinical and pharmaceutical sciences. The hosting universities/institutes: The visit to Serbia occurred on June 13, 2016, and the hosting institution was the University of Belgrade, Faculty of Pharmacy. My primary host contacts there were Prof. Dr. Vesna Matovic (Department of Toxicology “Academic Danilo Soldatović”, Faculty of Pharmacy, and President of the Serbian Society of Toxicology) and Prof. Dr. Zorica Vujić (Dean of the Faculty of Pharmacy). My hosts were wonderful and welcoming. I particularly benefitted from my conversations with Dr. Matovic regarding the history of toxicology in Serbia and the influence of French science on the science of toxicology in Serbia. I enjoyed learning about her mentor, Danilo Soldatović, who was a corresponding member of the French Academy of Sciences Medicine Department, and who bequeathed his Lavoisier Medal to her (which I was able to see and hold; how wonderful!). The traditional Serbian dinner after the symposium was simply delightful. Dr. Matovic’s passion for toxicology is beyond borders and contagious and I hope that all of our toxicology colleagues will attend the upcoming Congress on Toxicology in Developing Countries (CTDC 10) April 18–21, 2018, which will be held in Belgrade. Please contact Dr. Matovic for more details and mark it on your calendars. Elena Jardan was the host in Moldova. 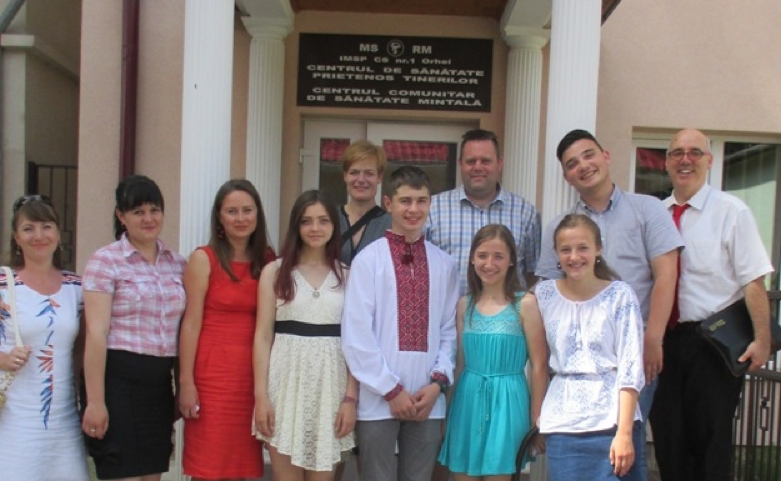 Students in Moldova had backgrounds in public health. My outreach proposal also included visits to two different institutes in Chișinău, Moldova. The visit to Moldova took place from June 20–23, 2016, and involved meetings with students at the State Medical and Pharmaceutical University “N.Testemitanu” and at the National Center for Public Health. My host contacts in Moldova were Ms. Elena Jardan, Junior Researcher in Medicine, Head of the Experimental Toxicology Laboratory, and Prof. Dr. Lurie Pinzaru, General Director of the National Center of Public Health. During my visit, I also was welcomed by the Dean of the Faculty, Dr. Angela Cazacu-Stratu, and the head of the public health department. My Moldovan hosts also were gracious and enthusiastic! Elena Jardan invited me to her home where she and her husband prepared a traditional Moldovan meal that was simply amazing. She also took me on a tour around the city and arranged for me to visit a district public health office in Orhei, Moldova, about 50 km from Chișinău, where I met with student volunteers and district leaders who work on various public health problems ranging from alcoholism to smoking to STD prevention. During my outreach in Chișinău, I came to learn that the Republic of Moldova has activated the first laboratory in experimental/descriptive toxicology that has national accreditation and quality system ISO 17025. The laboratory has necessary capacities to conduct complex and valid research on health hazards and the impact of toxic chemicals on human health. The experimental toxicology lab is under the Chemical Safety and Toxicology Center of the National Institute of Public Health. For more information, or to discuss possible collaborations, please contact Ms. Jardan. Details concerning the symposium: The primary purpose of the visits to Serbia and Moldova was to present a symposium in English, “Toxicology and You: Perfect Together?” The symposium featured four lectures, ranging in length from 30 minutes to 90 minutes. The first lecture included a historical perspective of the science of toxicology as well as a broad description of how the science has progressed to its modern point of view. The second lecture offered guidance to students as to how to take their next steps into a career in toxicology (e.g., types of jobs available to toxicologists and how to discern between entering the workforce or continuing on the path towards a Master’s or PhD degree). The third presentation was a panel discussion and co-presented with the hosts at each institute. Its purpose was to inform students about specific graduate programs and post-graduate toxicology opportunities at home and in the USA. I also described the process of applying to graduate school in the USA. Lastly, I presented a seminar about my research and hosted a Q&A session. 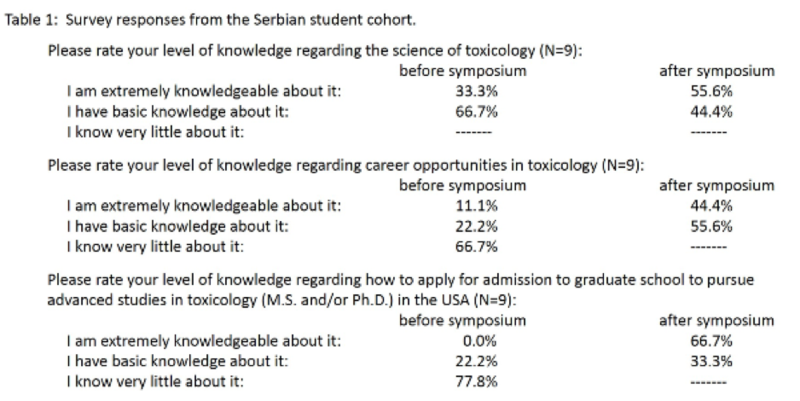 The students who attended the symposium: In Serbia, the audience was comprised primarily of students of pharmacy or clinical lab sciences, who have previously had a course in toxicology in their pharmacy curriculum. There were 25 students in attendance. The students were engaged, had a solid command of the English language, and asked questions, both during the symposium and at lunch. When I asked them a question concerning whether they were optimistic about the future, most of them raised their hands. This was a positive sign. Indeed, I also asked the students in the room to write down their emails so that I could send them a link to a post-symposium survey and all of them signed the sheet. The response rate on the survey was 9 people out of 25. See Table 1 below for the results of this survey; all responses were anonymous. 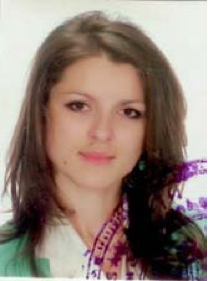 In Moldova, those attending at both sites were primarily students of public health, with only a basic background in toxicology. At the first location, there were 17 people, among them 2 faculty members. At the second location, there were 11 people present; again 2 faculty. I also sent a post-symposium survey to these individuals; however, only four people responded out of the 28 and all four of these respondents were over 26 years old (i.e., likely the people in the audience who were not students). Therefore, I am not including the Moldova survey results. 78% were between the ages of 21 and 25. 67% described themselves as students in the Master’s program of the University. 100% said that SOT should continue to support these types of ToxScholar outreach visits to students in developing countries. The responses revealed that the symposium was effective in meeting its objective of expanding student awareness of toxicology. Concluding thoughts: The biggest issue that I observed in both Moldova and Serbia in terms of toxicology and science opportunities is that the current climate for research can be improved, particularly in regard to the funding of research in these places. I imagine that as these countries begin to align their political systems with those of the European Union, more and more opportunities will present themselves for research funding. In the meantime, I encourage all of us to explore collaborative efforts with these host institutions. I can tell you first hand that the scientists in all of these places are bright, motivated, and capable. The economic situation in Serbia and Moldova will undoubtedly continue to grow, but establishing connections now will help them to help themselves even faster. The political situations in the countries are quite complex, but science is an area that can break down barriers and toxicology should lead the way. I am deeply appreciative to SOT, to St. John’s University, and to the US-Italy Fulbright Commission for their support of this opportunity. I also am thankful to Dr. Frank Barile, Chair of Pharmaceutical Sciences at St. John’s University, and Dr. George DeGeorge, President of the Mid-Atlantic SOT Regional Chapter (MASOT) and Chief Scientific Officer at MB Research Labs in Spinnerstown, Pennsylvania, for letters of support for my application with very short notice. For those who might be considering applying for a ToxScholar grant next year, do it. It just might change your life, and the viewpoints of those you meet. Best wishes from Udine, Italy… see everyone back stateside in Baltimore next March. Ciao! 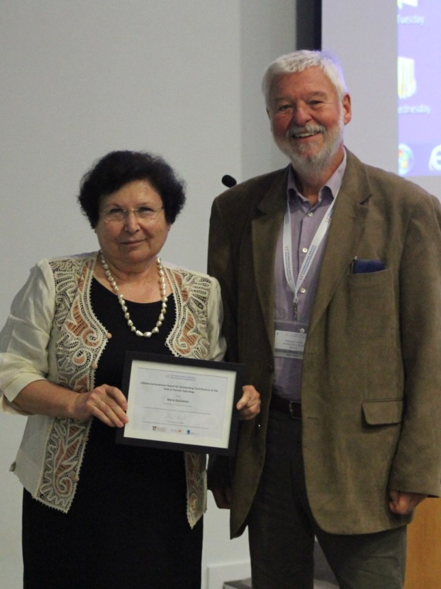 Congratulations to Professor Mary Gulumian who was recently awarded the “Lifetime Achievement Award for Outstanding Contributions to the Field of Particle Toxicology.” This award was presented to her by Dr. Wolfgang G Kreyling at the 11th International Particle Toxicology Conference held in Singapore in September 2016. This prestigious award honors a scientist who has throughout his/her career made pioneering contributions to the field of particle, fiber and nanotoxicology, evidenced by excellent publications in peer-reviewed scientific journals, by invited presentations at scientific meetings, by contributions to scientific guidance documents, combined with significant educational contributions and outstanding peer recognition based on highest personal and scientific integrity. Mary Gulumian graduated with a PhD from the University of the Witwatersrand in 1979. In 1980 she joined the National Centre for Occupational Health (NCOH), which later became the National Institute for Occupational Health (NIOH). Currently, she is the head of the Toxicology and Biochemistry Department at the National Institute for Occupational Health (NIOH). She is a Reader Professor in the Department of Haematology and Molecular Medicine at the University of the Witwatersrand and Extraordinary Professor at the University of Pretoria. She has served various roles and portfolios in many international and national agencies including, but not limited to the following: President and the founding member of the Toxicology Society of South Africa (TOXSA), an appointed member of the South African Council for Natural Scientific Professions (SACNASP), a member of two committees of the World Health Organisation (WHO), Past Executive committee member of the International Union of Toxicology (IUTOX), head of delegation of Organisation for Economic Co-operation and Development (OECD) Working Party on Manufactured Nanomaterials (WPMN), and Head of delegation for Working Group 3 (WG3) and Project leader of International Organization for Standardization on Nanotechnology (ISO TC 229). A new report from the United Nations Environment Programme presses for global action before 2020 to begin reducing greenhouse gases beyond what nations have already promised. Read more. Read this full article and other Future Earth news online. Fogarty is working with its partners to plan how to build on the success of the Medical Education Partnership Initiative (MEPI) and continue to strengthen and expand capacity building in sub-Saharan Africa. The Center has released two new program concepts that outline possible next steps. See full article online. ​The U.S. Department of Health and Human Services (HHS) has announced progress on several fronts to develop vaccines that protect against Zika and yellow fever viruses. In early September, the Department announced it has awarded an $8.2 million contract to Moderna Therapeutics of Cambridge, Mass., to help speed development of a novel vaccine for Zika. Moderna’s vaccine candidate uses messenger RNA or mRNA technology. Read full article for more details. Also find the latest issue of the WHO Chemical Risk Assessment Network newsletter. The issue shares that the review of Chemical Specific-Adjustment Factors (CSAF) by network participants has been completed, and the findings were presented at EUROTOX 2016, and may be presented at SOT 2017. The fourth international lead poisoning prevention week of action (23–29 October 2016) advo­cated the need for further efforts to phase out lead paint, in particular to protect the health of our children. At high levels of exposure, lead attacks the brain and central nervous system to cause coma, convulsions and even death. Children who survive severe lead poisoning may develop intellectual disability and behavioral disorders. Yet lead poisoning is entirely preventable. As of today, only one-third of Member States have implemented legally-binding controls on lead paint. This year, the campaign is making further efforts to call for all countries to have these controls in place by 2020. In support of the campaign, more than 40 activities are registered globally to raise awareness about the health hazards linked to lead and lead paint. A WHO information and resource pack, customizable campaign materials, infographics and a video message about the importance of eliminating lead paint can be found here. To find out about events planned during the week, click here. The fact sheet can be found here. Health is the pulse of a city’s well-being. As the UN Conference on Housing and Sustainable Urban Development (Habitat III) convenes, health needs were at the centre of planning for the New Urban Agenda. With this aim and focus, WHO has prepared a report on Health as the pulse of the new urban agenda. During this meeting, national and municipal leaders joined in a gala launch of the BreatheLife campaign for clean air and a healthy future. The campaign is led by WHO in collaboration with the Climate and Clean Air Coalition and highlights a range of practical and affordable opportuni­ties to reduce short-lived climate pollutants. See the latest campaign videos here to understand better how to breathe life into your city. The Habitat III meeting was held from 16 to 20 October 2016 in Quito, Ecuador. The world now has a global climate treaty that will become a public health treaty as countries take action. As stated in the Paris Agreement, “the right to health,” will be central to the actions taken. The agreement calls on countries to develop adaptation plans that will protect human health from the impacts of climate change, such as, heat waves, floods and droughts, and the ongoing degradation of water and food security. Through monitoring and revision of national commitments every five years, the world will begin to see improvements not only in the environ­ment, but also in health, including reductions in the annual toll of more than seven million deaths worldwide attributable to air pollution every year. At COP22, the public health community showcased technical information, initiatives, lessons learned and political commitments on health, environment and climate change at key events. For more information on specific health events, click here. COP22 was held from 7 to 18 November 2016 in Marrakech, Morocco. During the World Health Summit, WHO organized a panel with members from academia, gov­ernment, civil society and media on the Action: SDG ePlatform that is being developed to house material relevant to actors working across policy sectors to address population health and health equity determinants. The platform, which is under development, aims to convene and support Social Determinants of Health (SDH) actors to reach the targets of the Sustainable De­velopment Goals (SDGs) by working across policy silos to apply a health lens. A number of new collaborators will contribute to the project in: describing evidence on what interventions work to improve health in specific policy areas; providing examples on how their work on health deter­minants aligns with the targets of the 2030 Sustainable Development agenda; providing exam­ples of breaking language barriers between health and other sectors; and creating more oppor­tunities for cross-sectoral dialogue at local and national levels. The World Summit was held from 9 to 11 October 2016 in Berlin, Germany. For more infor­mation on the panel, click here. The Sixth Ministerial Conference on Environment and Health will be held in the WHO European Region. Member States are expected to adopt a ministerial declaration, an implementation plan for its commitments, and a reformed governance mechanism for the European Environment and Health Process. The main thematic priorities agreed upon for the ministerial declaration include air pollution, cities, chemical safety, climate change, environmentally sustainable health systems, and water, sanitation and hygiene. The ministerial declaration will affirm the European Environment and Health Process in the framework of the United Nations Agenda 2030 for Sus­tainable Development, anchored in the Health 2020: European health policy framework, its val­ues and whole-of-government and society approaches. The conference will bring together health and environment ministers and high-level representa­tives of Member States in the WHO European Region, partner organizations, academia and civil society. It will be held in Ostrava, Czech Republic, from 13 to 15 June 2017. For more infor­mation, click here. Pneumonia is a leading cause of death for children under the age of five years around the world. The evidence shows that we need to work with integrated approaches to protect, prevent and treat pneumonia in children. WHO will join partners around the world to mark the day and will launch a web-based interactive tool to monitor country, regional and global progress on the prevention of avoidable deaths due to pneumonia and diarrhea. The WHO integrated Global Action Plan for Pneumonia and Diarrhea (GAPPD) aims to: (i) reduce preventable childhood deaths; (ii) improve coverage; and (iii) implement essential policies in 139 countries. WHO will also raise awareness about a www.breathelife2030.org campaign for reduced air pollution as a way to prevent pneumonia. For more information, please click here. At a landmark joint General Assembly of two leading international science councils, their members voted to merge, launching a process to form a single global entity that represents all social and natural sciences. For the plans to go ahead, the majority of both councils’ voting members needed to vote in favor. 76% of the ICSU members and 87% of the ISSC members voted in favor of a merger of the two organizations, thereby setting the merger process in motion. IUTOX is an active member of ICSU and supported the ICSU-ISSC merger. The Institute of Food Science and Technology of Ireland presents Mumbai, India as the host for the 19th IUFoST—World Congress of Food Science and Technology, between 27–31 August 2018. More information will be coming at the congress website. November 7, 2016—The International Union of Food Science and Technology (IUFoST) today released its latest Scientific Information Bulletin (SIB), which addresses the evolving food industry focus on Food Fraud. The purpose of this IUFoST SIB is to provide an introduction to the issue, a review of incidents, the fundamentals of prevention and insights into the optimal role of Food Science and Technology. This SIB presents the latest authoritative science on emerging and headline food science issues. It is produced by IUFoST experts for legislators, consumers, food science departments and the more than 300,000 members of IUFoST Adhering Bodies worldwide. AAAS offers a variety of programs as part of their Global Outreach, including the Center for Science Diplomacy and their quarterly online publication Science and Diplomacy. The Office of International and Security Affairs manages AAAS’s international institutional relationships and advances the AAAS goal of providing leadership in international science cooperation. More information can be found on the AAAS website. Seeding Labs is an organization that supports global scientists by helping provide access to high-quality surplus laboratory equipment to university departments in low- and middle-income countries. This lab equipment is provided by donors. The Instrumental Access 2016 Request for Applications (RFA) is now closed, but information about the 2017 RFA will be available in the new year. Recipients are selected through a competitive application process. Once selected for the program, qualified participants choose equipment from our inventory that matches their needs. Seeding Labs packs and ships the equipment to the nearest or most convenient port. Future programs offered by Seeding Labs are the Ambassador Program and the Fellowship Program. Both of these programs are still in development. For a listing of all courses, visit www.toxicology.org/cedtox.asp. Individuals from qualifying developing countries receive FREE access to all courses. To register, please contact rachel@toxicology.org with your complete contact information and your selected course. The IUTOX Developing Countries Committee in collaboration with the East Africa Network on Environmental Compliance and Enforcement (EANECE) organized a workshop to introduce East African Scientists and regulators to the general concepts of risk assessment with special focus on a subject that is of great relevance and concern in the region, i.e., pesticides. 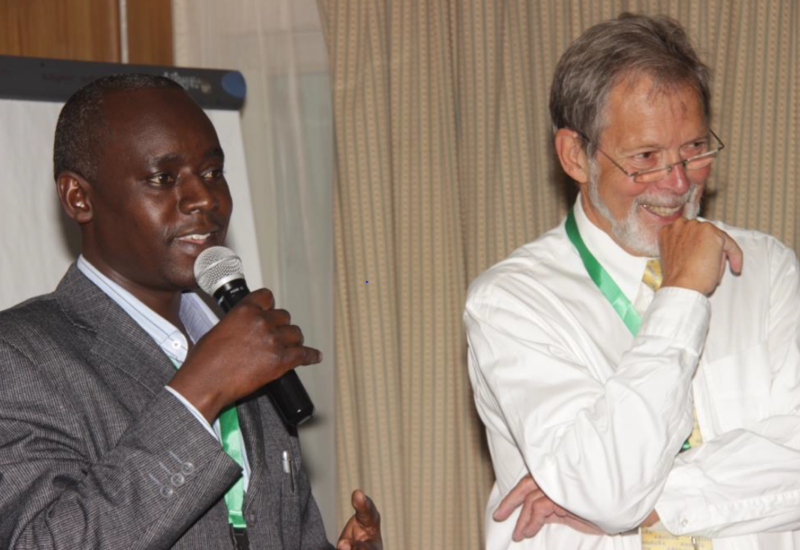 The workshop took place in the Laico Regency Hotel, Nairobi, and was chaired by the Director of EANECE, Mr. Gerphas Opondo. There were more than 50 participants from seven different East African countries: Kenya, Uganda, Tanzania, Rwanda, Zambia, Ethiopia and Zanzibar. The participants had quite different professional backgrounds and came from different ministries, regulatory agencies, and research institutions. The faculty consisted of Professor Herman Autrup and Professor Mary Gulumian from IUTOX, Dr. Emanuela Testai, ISS, Italy and Dr. Sabitha Papineni. Another objective of the workshop was to explore the possibilities of establishing an East African network of toxicologists or an East African Society of Toxicology, as the toxicological communities in each of the countries are too small to form a viable national society. The opportunities are currently being explored under the able leadership of Mr. Gerphas Opondo (EANECE). The workshop was supported by a grant from the American Chemical Council Foundation to EANECE and was hosted by Croplife Africa, Middle East. 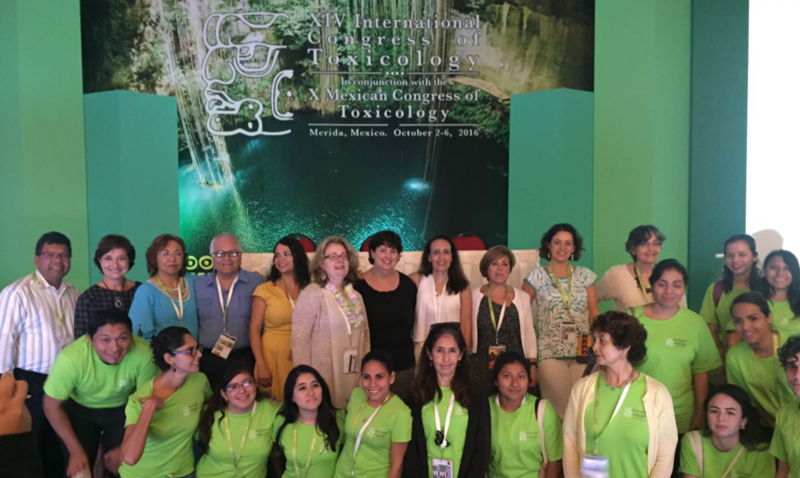 The Mexican Society of Toxicology leadership thanks each and every one of you who made ICT2016 a successful meeting. It was rewarding to the Organizing Committee to be able to accomplish our goal of giving you the best possible way to enjoy the congress. We had the honor of hosting six extraordinary plenary lectures, 34 symposia, four workshops, and two roundtables, with the participation of 191 invited speakers of the highest level (from several geographic regions), plus 15 oral sessions (with 56 papers selected from the best abstracts). 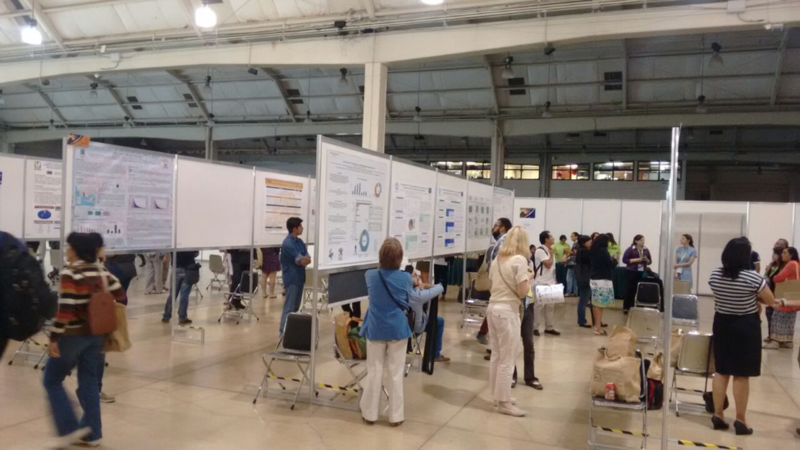 We received 672 abstracts, which are published in Toxicology Letters (fi 3.522), plus 36 late-breaking abstracts; 859 people attended the congress from 53 countries, including representatives from the 5 continents, and more than 30% of the attendees were students. 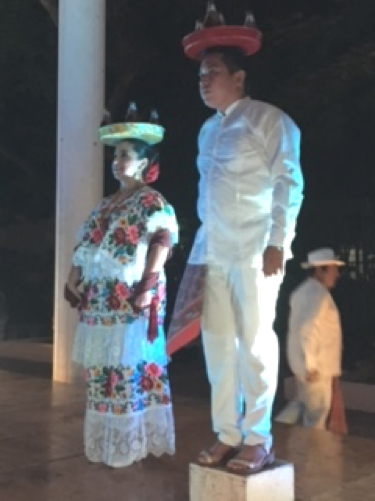 The social program during the opening ceremony and gala dinner had the purpose of showing the richness of the Mayan culture and the Yucatan people’s hospitality, which we hope you enjoyed while visiting the exciting places in the surroundings of Merida. All this was possible with the support of our national and international sponsors that generously contributed to have a successful meeting. Again, thank you for your participation in the congress, and for your confidence that it would be a worthy ICT to remember. Staff and volunteers who made ICTXIV a success! 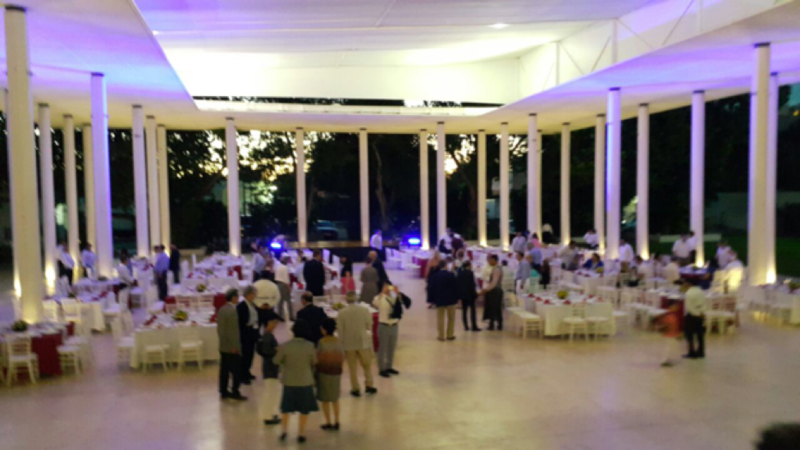 During the ICTXIV meeting in Merida we held the Global Collaboration Coffee event, which is becoming a regular appointment with our member societies. Originally developed in 2012 as an SOT Annual Meeting event to complement their international activities, today IUTOX hosts Global Collaboration events at the SOT Annual Meeting and at our international congresses. A common message IUTOX leadership heard at the recent Global Collaboration events in New Orleans and Natal was the mandate for IUTOX to provide the means for member societies and countless other entities to share information and resources across countries and regions; to discuss how and if these programs and resources can be more effective and widely available; and finally, to determine what opportunities exist to encourage and facilitate future communication among the international scientific community. 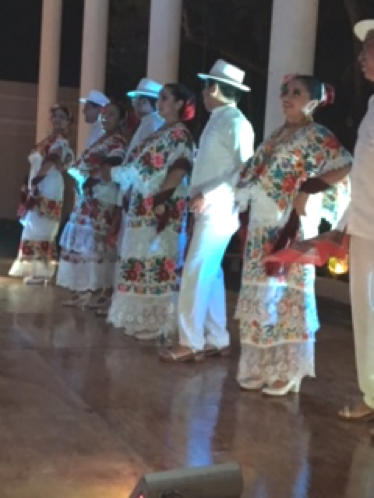 The Merida Global Collaboration event was intended to highlight just a few of the international organizations with which IUTOX partners to provide programming and to meet mutual organizational goals. Also featured are IUTOX member societies that provide travel awards, innovative programming, and information about funding opportunities for their members and others who live and work in countries where toxicology is under-represented. The event was moderated by Emanuela Corsini, former IUTOX Director and Chair of the Communications Committee, and Elaine Faustman, former IUTOX Secretary-General and Chair of the Education Committee. Distinguished speakers, who have promoted science and toxicology through their professional achievements and through the work of the organizations they represent, were invited to speak. Each speaker had 10 minutes to present their organization and the opportunities they provide to scientists. Dr. Michael Clegg, Vice-President for External Affairs of the International Council for Science (ICSU), gave the ICSU overview (see www.icsu.org for further details); Prof. Heidi Foth, former IUTOX Treasurer, represented EUROTOX and discussed the opportunities within Europe (see www.eurotox.com for details); Dr. Hanan Ghantous, President of the American College of Toxicology, focused on the ACT Programs and Resources (see www.actox.org for details); Dr. Akihiko Hirose, Educational Committee Chair of Japanese Society of Toxicology (JSOT), focused on the Certification Program and International Collaboration (with SOT) (see www.jsot.jp/english/index.html for details); Dr. Henk van Loveren, Professor of Immunotoxicology at the Maastricht University presented the WHO Chemical Risk Assessment Network (see www.who.int/ipcs/network/en/ for details); and finally Dr. Ofelia Olivero, SOT Councilor (2014–2017), presented the incredible achievement of the Hispanic Organization of Toxicologists in supporting and promoting toxicology in Latino America countries (see www.toxicology.org for details). Member societies were also represented by Mary Gulumian (TOXSA), Songsak Srianujata (TST) and Peter DiMarco (ACTRA) to share information about their toxicology educational programs. All the presentations were very interesting and each was followed by a lively discussion. We believe this event represented an important opportunity for the exchange of information between member societies, especially for young people coming from areas where toxicology is under represented. The next Global Collaboration event will be held in Baltimore, Maryland, at the 56th SOT Annual Meeting, March 12–16, 2017. IUTOX is proud to add the 2016 Merit Award to the long list of awards Dr. Klaassen has been honored with by numerous national and international organizations. Dr. Klaassen joined the University of Kansas Medical Center in Kansas City, Kansas in 1968 where he spent over 45 years holding numerous positions including University Distinguished Professor as well as Chair of the Department of Pharmacology, Toxicology, and Therapeutics He received his PhD in Pharmacology from the University of Iowa in 1968. Dr. Klaassen’s research interests have centered on how we adapt to chemicals in the environment. Studies have included the regulation of xenobiotic transporters by nuclear receptors, age, and the intestinal microbiome; the mechanism of tolerance to cadmium toxicity by metallothionein; the importance of the transcription factor Nrf2 in protecting against the hepatotoxicity of chemicals; and mechanisms of chemical-induced thyroid tumors. He has published approximately 525 peer-reviewed articles and more than 80 review articles and chapters for books. Google Scholar indicates that he has an H factor of 101, which indicates that 101 of his publications have been cited more than 101 times. As a leader in toxicology education, Dr. Klaassen has trained over 120 PhD and Postdoctoral students, and so far three have been elected President of SOT and four received the Achievement Award from SOT. He is editor of Casarett and Doull’s Toxicology: The Basic Science of Poisons since 1980, and was author of the toxicology section of Goodman and Gilman’s Pharmacological Basis of Therapeutics from 1980 to 2005. He is Founder (1980) and Course Director of the Mid-America Toxicology Course, an annual postgraduate course to help prepare toxicologists for board examination, and has presented over 450 lectures around the world. Dr. Klaassen has served the toxicology community by being the inaugural Editor-in-Chief of Toxicological Sciences, the new journal of SOT. He was associate editor of the Journal of Pharmacology and Experimental Therapeutics for 24 years and Toxicology and Applied Pharmacology for 10 years. He also served on numerous national and international committees. 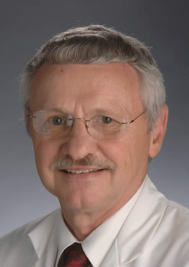 Dr. Klaassen was elected by his peers to many national and international offices in toxicology, including President of the Society of Toxicology (USA) in 1990–1991, as well as President of the International Union of Toxicology (1992–1995). He was also President of the Seventh International Congress in Toxicology in 1995 held in Seattle, Washington. The Mexican Society of Toxicology was proud to select Dr. Ostrosky as the Deichmann Lecturer to acknowledge and honor her tenacity, dedication, and passion for science. 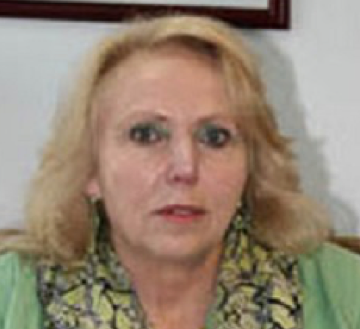 Dr. Patricia Ostrosky-Wegman earned her Bachelor degree in Biology from the Faculty of Sciences of the National Autonomous University of Mexico, UNAM. She obtained a Masters degree in Human Genetics from the Faculty of Medicine at the University of Tel Aviv, and received a PhD in Pharmacology at the Faculty of Medicine UNAM, graduating with honors. In 1994 Dr. Ostrosky founded the Department of Genomic Medicine and Environmental Toxicology at the Biomedical Research Institute-UNAM, and since 2011 she is the head of this institute, one of the top institutes of Biological Sciences in Mexico. 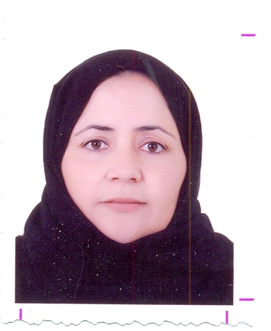 Her research interests include genotoxicity of pesticides, metalloids, and antiparasitic drugs. She was commissioned to the Ministry of Health to serve as General Director of Health Policy Research in 2009. 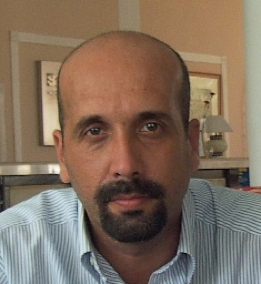 Dr. Ostrosky has been very active in the academic field as President of the Mexican Association of Human Genetics, President of the Latin American Association of Mutagenesis, Carcinogenesis and Environmental Teratogenicity, Secretary of the Latin American Society of Genetics, and member of the Board of the Environmental Mutagen Society. She has been member of the Editorial Board of prestigious journals such as Environmental and Molecular Mutagenesis, Mutation Research, Journal of Pharmacological and Toxicological Methods, Environmental Health Perspectives, and Archives of Medical Research. She is member of the National Academy of Medicine and of the Academy for Scientific Research (Mexico). Dr. Ostrosky has created independent strong research groups in the field of toxicogenomics in Mexico, and has mentored and trained more than 100 graduate and undergraduate students, some of whom are well recognized researchers at the national and international level. She has received several awards highlighting her commitment to mentoring, such as the "Student Educator Award" from the Environmental Mutagenesis Society in 2005, and the Heberto Castillo Prize in 2007 (Mexico) in the category of Health, Biotechnology and Environment, awarded by the Institute of Science and Technology of Mexico City. John Wiley & Sons, publisher of scientific and technical information, has consistently supported IUTOX ICT and CTDC travel award winners since 2010. They have generously contributed one-year online subscriptions to Current Protocols in Toxicology to two award winners in Barcelona (ICTXII), Thailand (CTDC8), Seoul (ICTXIII), Natal (CTDC9), and most recently, in Merida (ICTXIV). Current Protocols in Toxicology is an updated methods resource for accurate assessment of toxicity in whole organisms, organs and tissues, cells, and biochemical pathways. Including contributions from scientists globally, this title provides step-by-step protocols for the molecular analysis of the pathways, processes, and phenomena associated with toxic insults. 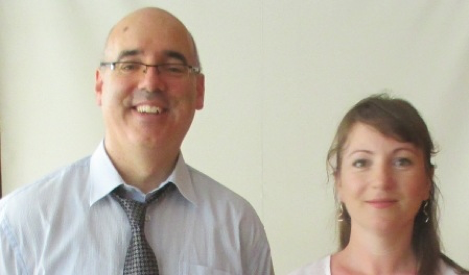 Axel Moncebo and Alla Tirsina were selected as recipients of the 2016 Wiley CPTox materials. IUTOX thanks Wiley for its consistent support of our travel award winners who greatly benefit by having access to these on-line tools. 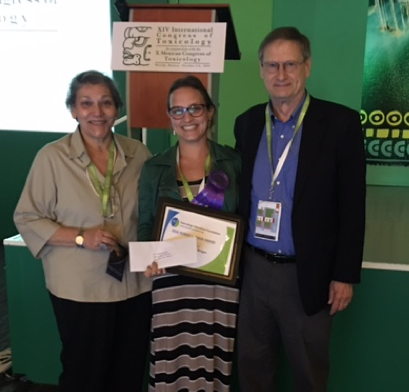 Cibele Borges, UNESP, Faculdade de Medicina, Botucatu, Brazil, is the 2016 Robert L. Dixon Travel Award Recipient. The Robert L. Dixon Award, sponsored by the Toxicology Education Foundation, takes applications from graduate students in the area of reproductive toxicology. 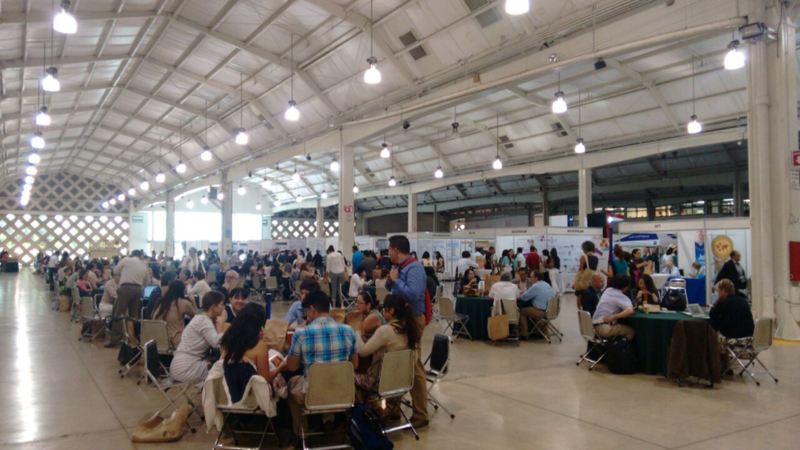 The award carries a stipend of $2,000 for travel costs to enable a student to attend the International Congress of Toxicology (ICT) meeting, held every three years. The Award was established in memory of Robert L. Dixon (SOT President 1982 1983) as a tribute to his dedication to the field of toxicology and student training. Generous contributions to TEF ensure funding for the award. For more information about the award, please see the TEF website. Please join us in Serbia to share in this unique opportunity to update your knowledge in the field of toxicology and related sciences, with an emphasis on sharing your work with national and international toxicologists. You will have ample opportunity to network with other attendees to identify potential collaborators and mentors and to discuss your recent scientific research and results. The Congress will feature symposia, workshops, exhibitor-hosted sessions, posters and oral presentations. Look for an exhibit hall serving as a comprehensive marketplace for product information and cutting-edge technology. For more information about serving as a sponsor or exhibitor, please contact ctdc10@pharmacy.bg.ac.rs or visit www.ctdc10.rs. On behalf of the Scientific Programme Committee I invite you to submit your proposal for the 10th Congress of Toxicology in Developing Countries (CTDC 10) that will be held in Belgrade, Serbia, April 18–21, 2018. Your input is essential for preparation of a scientific programme covering the most up to date topics relevant for your region. Please submit your scientific proposals making sure to include the organizer details, the recommended speakers, and a brief presentation for the proposal. You can submit either a full proposal or a partial proposal open to add lectures and speakers by the Scientific Committee. Send your proposals to the vevodi@pharmacy.bg.ac.rs by January 31, 2017. Proposals will be evaluated by the CTDC 10 Scientific Programme Committee. Should you have any suggestions or ideas for the Congress, please feel free to contact us. 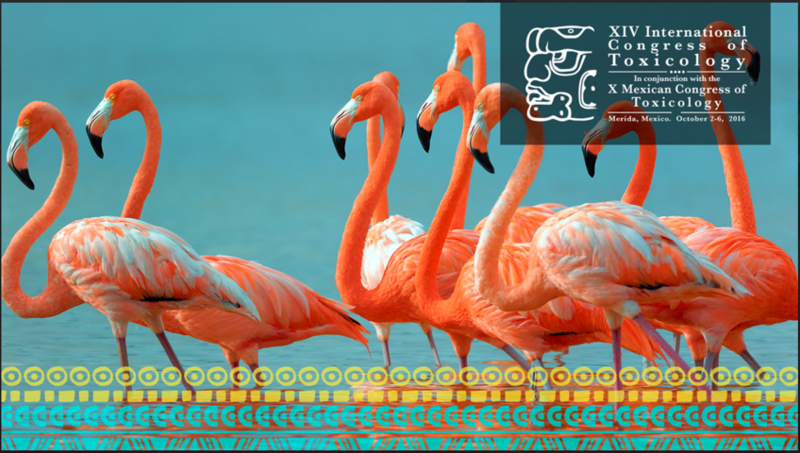 Congratulations to XIV ICT organizers and participants who had the pleasure of experiencing the science in Merida, Mexico! You are invited to participate in the XV ICT that will be co-hosted with the Society of Toxicology July 15–18, 2019, in Honolulu, Hawaii. There are many opportunities for you to become involved in the planning process. Six committees are being formed by the Organizing Committee. The committee descriptions and survey to respond with your interest to serve on a committee are located at https://www.surveymonkey.com/r/ZV83789. Your response is requested by February 1, 2017. Visit the ICTXV 2019 website at www.toxicology.org/ict2019 to discover Hawaii and keep current with ICTXV news. Aloha! The 18th World Congress of Basic and Clinical Pharmacology (WCP2018) will be held in Kyoto, Japan from July 1 to 6, 2018. The WCP2018 Organizing Committee plans to make WCP2018 a success by offering rich scientific contents and memorable experiences. The program is based on Pillars and Platforms. 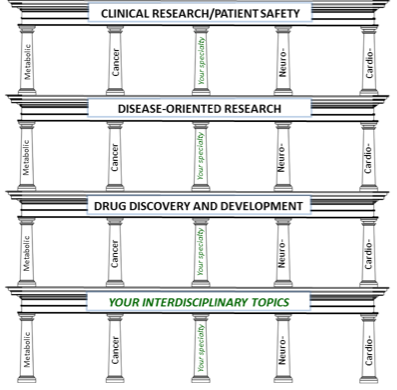 Pillars represent the different fields of research, such as Neuro, Cardiovascular, Metabolic, Cancer, Tox, etc. Platforms represent different levels of research spanning from basic science to bedside, including drug discovery / development, disease-oriented research, clinical research, and patient care. Platform sessions may involve multiple fields of study for interdisciplinary or cross-sectional views of the pharmacological sciences. Sessions will be organized chronologically based on Pillars and Platforms, so every participant will easily locate sessions that appeal to his or her interests. Prof. Shinya Yamanaka (Kyoto) won the 2012 Nobel Prize for Physiology or Medicine for his discovery of induced pluripotent stem (iPS) cells, which now provide a platform for regenerative medicine and human disease cell-based drug development. Prof. Karl Deisseroth (Stanford) is one of the founders of optogenetics, which revolutionized the methodology for examining cell systems in the brain and other organs. To optimize the scientific offerings, spanning from basic research to the bedside, we are pleased to announce the International Union of Toxicology (IUTOX) is sponsoring a symposium under the leadership of the IUTOX President, Dr. Jun Kanno. We encourage you to plan your visit to Kyoto for July 1–6, 2018 to experience the full spectrum of the scientific offerings and the amazing history offered by the region. SOT strongly supports efforts keeping toxicology in the forefront of scientific advancements that make a safer and healthier world and has several specific programs to promote scientific exchange around the globe. We encourage SOT members to consider applying and to encourage colleagues who have interests matching the program goals to apply. SOT encourages proposals for joint activities to further international goals that are collaborations between SOT component groups, committees or other non-SOT toxicology organizations (e.g., IUTOX, Japanese Society of Toxicology) and include matching funds from one of the collaboration partner groups. Matching funds are not required, but will greatly increase the competitiveness of the proposal. Global Initiatives Funds applications are reviewed four times a year. The next deadline is January 1, 2017. Other deadlines are April 1, July 1, and October 1. SOT will fund proposals up to $4,000. The PhRMA Foundation supports the research and early career endeavors of scientists in drug discovery and development. With a wide range of Pre and Post Doctoral Fellowships, Sabbatical Fellowships, and Research Starter Grants, the PhRMA Foundation offers a myriad of opportunities to help young scientists advance their careers. Application deadlines occur twice per year: February 1 and September 1. Please note: PhRMA Foundation also offers annual awards with a deadline of September 1. Deadlines: October 3, 2017; October 3, 2018. For additional information and eligibility, please visit the NIH website. According to a new agreement between the Chinese Academy of Sciences (CAS) and TWAS, up to 200 students/scholars from all over the world, including 60 from developed countries, will be sponsored to travel to China for PhD studies for up to four years. TWAS encourages the organization of high level international and regional scientific activities in developing countries by offering financial assistance to the organizers of conferences, workshops, symposia and special meetings held in these countries. Support is normally provided in the form of travel grants for principal speakers from abroad and/or participants from developing countries other than the country where the meeting is held. The amount provided normally does not exceed USD 5,000. Dr. Iain Purchase served IUTOX as President from 1995-1998 and was named the Merit Award winner in 2004. Drs. Ted Lock and Ian Kimber from the British Society of Toxicology and Dr. Torbjörn Malmfors from the Swedish Society of Toxicology share their memories with us of Dr. Purchase and his many contributions to the science and application of toxicology. It is with sadness that we report that Professor Iain Purchase passed away on Wednesday June 8. Iain was an eminent toxicologist, scientist and ethicist, but also an accomplished manager, an inspiring leader, and a man of great charm and huge personal and professional integrity. All of those who had the good fortune to work for or with Iain will have benefited from the experience. There is no doubt that Iain did as much as anyone, and much more than most, in promoting the science and application of toxicology. He was also an early and passionate advocate of animal welfare and for the responsible use of animals in research, and was instrumental in the development of in vitro toxicology. His legacy is substantial and lasting. Iain Purchase was born in Livingstone, Rhodesia, his father Harvey Purchase, was a Veterinary Officer in the British Colonial Service and worked in several African countries. His father was interested particularly in the control of Rinderpest (Cattle Plague). Iain followed in the family tradition, (his elder brother Harvey Graham was also a veterinarian), and trained in Veterinary Medicine at the University of Pretoria in South Africa, graduating in 1959. Subsequently he received his PhD from the School of Veterinary Medicine at University of Cambridge in 1964. At Cambridge Iain’s research focused on the use of anaesthetics in veterinary medicine, with his second paper being single author publication in Nature on the “Estimation of Halothane tensions in blood by gas chromatography.” On his return to South Africa Iain joined the Division of Toxicology, National Nutritional Research Institute in Pretoria, where he started working with mycotoxins, including aflatoxins, ochratoxin A, sterigimatocystin and others studying their toxicity and potential carcinogenicity. He published many important papers in this area. In 1970 Iain was appointed Director of the National Research Institute for Nutritional Diseases. Of interest during this period is his paper published in 1970 entitled “The Ethics of Animal Experimentation;” a subject that was a major interest for the remainder of his career. 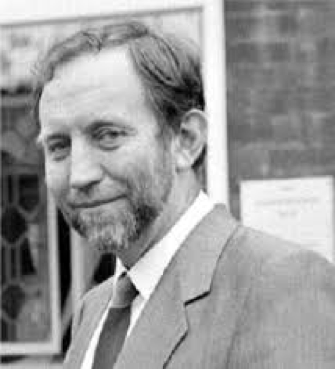 In 1972 Iain left South Africa and took a position as Head of Experimental Pathology at the ICI Central Toxicology Laboratory at Alderley Park, Cheshire in the UK. He was soon involved with issues of the day such as the carcinogenicity of vinyl chloride in company workers. Iain is best remembered for his association with the (ICI/Zeneca/AstraZeneca/Syngenta) Central Toxicology Laboratory (CTL). He was appointed Deputy Director in 1979 and was Director from 1981 to 1998. In that position Iain led CTL to prominence and international recognition as the preeminent industrial toxicology research laboratory. CTL proved a fertile scientific environment, with a broad-based and very productive research portfolio, and the laboratory was the source of some truly seminal discoveries in toxicology. Moreover, under Iain's guidance a generation of talented toxicologists flourished, and many of those who benefited from working under Iain's mentorship went on to forge successful independent careers. Iain himself made important contributions to the science of toxicology, his main research interests being in the hazard and risk assessment of chemical carcinogens. In parallel, Iain played a pioneering role in promoting the development of in vitro toxicology and application of 3Rs principles (Reduction, Refinement and Replacement) to the toxicological sciences. He was a founding editor of the journal Toxicology in Vitro when it was launched in 1987, and was the leading editor until 1994. Iain was also one of the founders of the Practical In Vitro Toxicology conference series. In 1993 Iain received, on behalf of CTL, the Johns Hopkins CAAT Recognition Award for 'the development of mechanistically-based alternative in vitro and in vivo toxicological methods and their application to improve human hazard assessment, to improve early chemical selection and to refine regulatory protocols'. Iain did much to support the development of toxicology and toxicologists both nationally and internationally. He was President of the British Toxicology Society (BTS) from 1990-1992, and President of the International Union of Toxicology (IUTOX) from 1995-1998. Iain served with great distinction on a variety of scientific advisory and expert committees, and his achievements were recognised by many prestigious awards. In 2004 he received the IUTOX Merit Award; the highest honour conferred by the Society, and in the same year he was awarded the Paton Prize by the BTS. In 1998 he became an Officer of the Order of the British Empire (OBE) for services to toxicology in the Queen's Birthday Honours List and in that year, was awarded La Medaille de la Ville de Paris. Iain retired from Syngenta in 1998 and took up a position as visiting Professor at Manchester University School of Biological Sciences and Institute of Medicine, Law and Bioethics where he pursued his interest in the attitude of research workers in the UK to animals, including attitudes to ethics, animal welfare and training until 2006. In 2003 he became a Non-Executive Director of Eastern Cheshire Primary Care National Health Service (NHS) Trust, and Chair of the Finance and Performance Committee. In 2006 the Trust expanded to include North and East Cheshire of which he became Vice-Chair and chaired 2 sub-committees. His last appointment was as a Non-Executive Director of NHS Trust Cheshire, Wirral and Warrington, the commissioning body for 1,000,000 patients with a budget of nearly £3 billion, where he was a member of the Audit Committee. In his retirement Iain spent much time with his grandchildren and was frequently spotted in the local park with them. When they were older, you would find him bike riding, attending their concerts both at school and the Halle, or watching cricket or football at Manchester United. He also enjoyed the lunchtime get together at a local pub with former Syngenta employees and meeting up at local coffee shops for a social chat. Iain was also a member and elder at Wilmslow United Reformed Church. Iain developed Waldenstrom’s macroglobulinaemia a rare type of non-Hodgkin’s lymphoma that was kept under control for several years with frequent visits to the Christie Hospital in Manchester, but in the end became uncontrollable. He leaves behind his wife Sheila, 4 children and 9 grandchildren. As a veterinarian Iain Purchase had a well-founded knowledge and understanding of the basic processes of life, both in health and disease, both in body and soul. Thus, he had the right foundation for dealing with practical and scientific problems related to the interaction between chemicals and living organisms and to risk assessment of the use and exposure of various chemical products. His work was mainly related to the identification of chemical carcinogens and the assessment of risk of exposures to them, one of the most important areas of toxicology. He was especially engaged in deploying in vitro methods to meet the ethical concern about the use of animals in the identification of chemical carcinogens. After an academic career at the University of Cambridge, Iain continued his professional career at the ICI/Zeneca Central Toxicology Laboratory in Macclesfield, where he was Director 1981-98. After then he was a visiting professor at the University of Manchester. After being chairman of the British Toxicology Society, Iain was recognized by his international peers and after being a Director of the Board he served as a very successful President of IUTOX (International Union of Toxicology) during 1995-98. Among his contributions on the international stage he served as a tutor in the RASS (Risk Assessment Summer School) programme of IUTOX. The way he did that by the means of lectures and hands-on teaching was very much appreciated by the students and the fellow tutors of the faculty. He will always be remembered for his after-dinner presentations on ethical and philosophical issues of toxicology. His theoretical knowledge and practical experience contributed to the unique quality of the RASS programme. Consequently, as he enjoyed taking part he continued to engage himself in this activity for almost 20 years and generously shared his knowledge and experience with young toxicological experts-to-be. I myself and the RASS fellow tutors and more than 200 students want to express our sincerest sadness for the loss of a great scientist, teacher, colleague, friend and human being and our condolences to his family.